Pebrero | 2012 | Sana Ako si Ricky Lee! One of the greatest aspirations of the Chinese is to ensure that they have good descendants, thus when looking for a spouse they consult Feng Shui experts to ensure that descendant’s luck of a couple is present. In fact, once the wife gets pregnant she is treated like a goddess, even the mother-in-law will definitely make sure that the pregnant daughter-in-law is taken care of properly to ensure a smooth pregnancy. Also, in the old days much effort is given to ensuring that a boy is born, is to ensure the family’s lineage is well preserved. A girl is considered as a less important child because she is destined to be married off to another family, and thus considered as somebody else’s child. 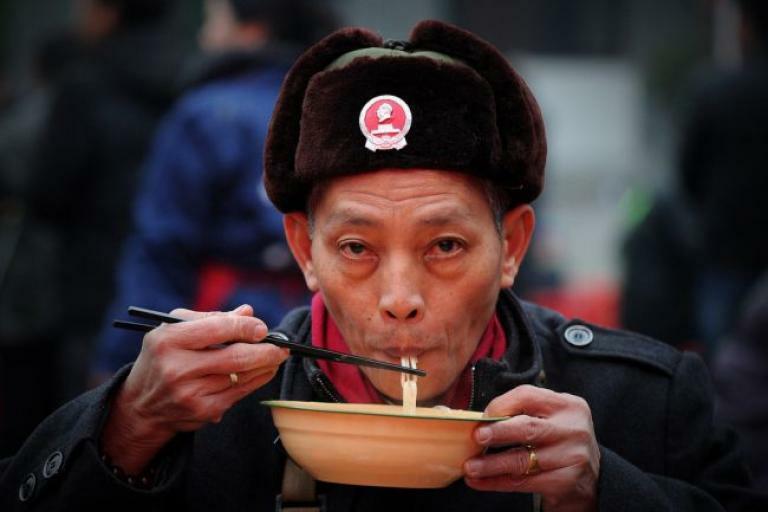 In fact, this practice or belief has become so bad that there are some Chinese families who don’t give names to their daughter because they’re destined to be known as the wife of so-so. Thus when addressing them in the household they’re simply called as First Daughter, Second Daughter, Big Sister, or Second Sister, or Third Sister. When addressed by somebody else other than their family they’re simply called as ‘First Daughter of Wong Family’ they’re simply defined by their family name and whether they’re the eldest daughter or the youngest, etc. When they get married they’re then simply defined by the husband’s family name. My own grandmother doesn’t even have her own name. However, because I don’t believe that women are of a ‘lesser’ being compared to men, I will not write about Feng Shui tips in ensuring that the couple are to have a boy, rather, I’d like to share some Feng Shui tips to activate one’s Descendant Luck or Fertility Luck. Several of the Feng Shui tips that I’m going to mention are things that I’ve recommended to friends and family. 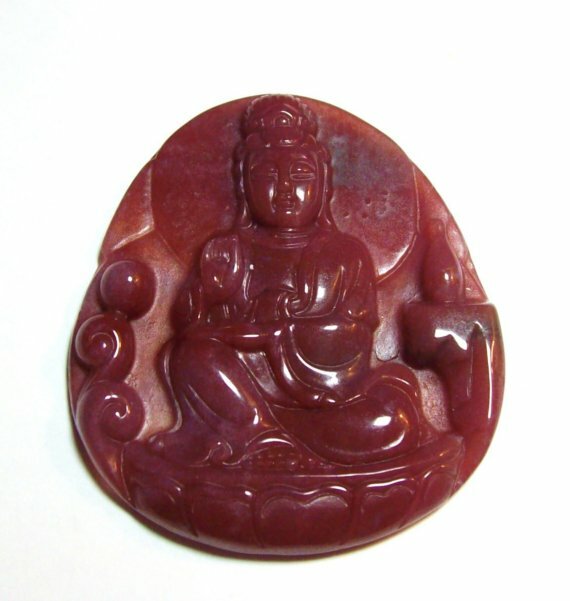 RED KUAN YIN PENDANT. Kuan Yin (also known as ‘Goddess of Mercy’, ‘Buddha of Compassion’) is a Bodhisattva revered both in Taoism and Buddhism. Kuan Yin grants the wish of having of babies. For this purpose a red Kuan Yin (also spelled as Kwan Yin, Quan Yin) is best to help you activate your Descendant’s Luck. 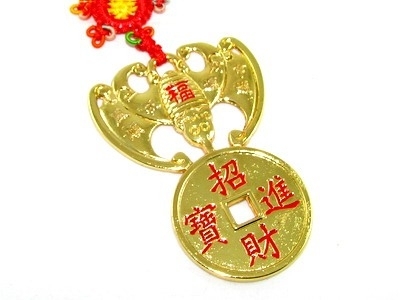 It is highly recommended that both the husband and the wife wear a red Kuan Yin pendant. However, if this is not possible, then it is recommended that the woman wear the pendant. I have three different previous post about Kuan Yin. Get to know her by reading them. The first post is KUAN YIN: THE ONE WHO HEARS THE CRIES OF THE WORLD, the second post is UNDERSTANDING MERCY AND COMPASSION: THE TRANSFORMATION OF AVALOKITESVARA TO KUAN YIN, and the third post is PAYING HOMAGE TO KUAN YIN, THE BUDDHA OF COMPASSION. RABBIT. A rabbit is a very powerful symbol of fertility. It’s believes that placing the image of a rabbit in the East section of the bedroom can increase the chances of fertility. 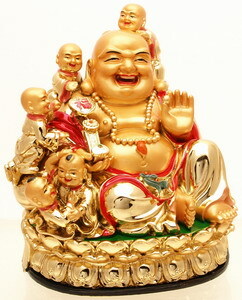 HAPPY FAT BUDDHA WITH CHILDREN. Having the image of the Happy Fat Buddha whose real name is Maitreya Buddha in your house helps increase your potential of having a good descendant luck. 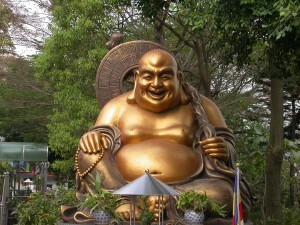 You can also know more about the Happy Fat Buddha by clicking here. CARNELIAN BRACELET. Carnelian or Carnelian Agates or Orange Agates worn as bracelet is one of the best fertility charm. Carnelian is a stone or semi-precious stone that directly controls our sixth chakra – the sire where our reproductive organs are located. 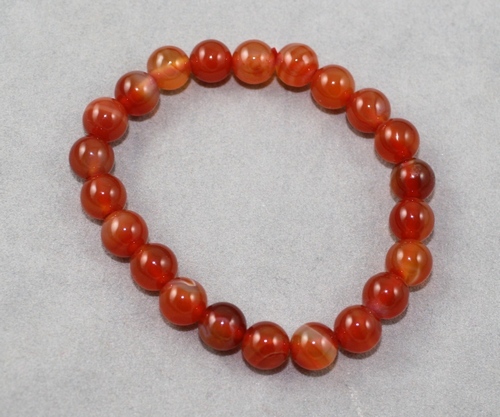 Wearing a carnelian as a bracelet will increase the wearer’s chance of being more fertile. 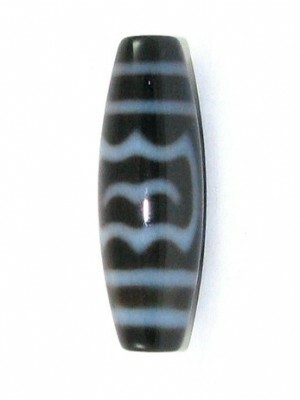 This charm is also great for people who have found to have low sperm or egg count. IMAGE OF KUAN YIN WITH A BABY. Placing an image of Kuan Yin with a Baby is another Feng Shui Descendant Luck enhancer. For this purpose, it’s best to place the image of Kuan Yin with a Baby on the west section of your house. 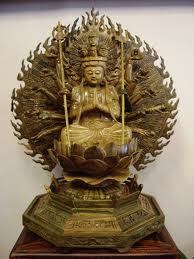 If this is not possible you can also place the image of Kuan Yin with a Baby in the West corner of your living room. 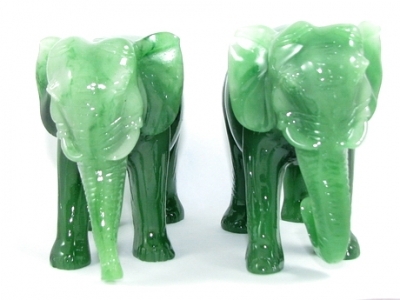 A PAIR OF ELEPHANTS. 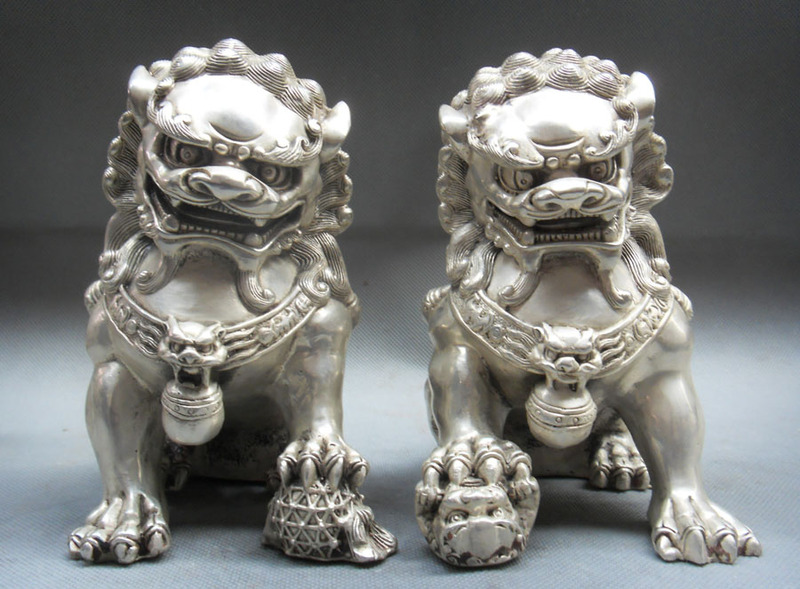 This is one of the most effective Feng Shui cure and enhancer to activate one’s descendant luck. You should note that the trunk of the elephants should be down and not up. Place a pair of elephants with the trunks down on the west section of your room and if possible both couples should stroke the trunks of the elephant three times each night. THREE PIECES OF CERAMIC OR PORCELAIN POMEGRANATE AND/OR PEACH. Both the pomegranate and the peach are powerful Feng Shui tools to enhance your descendant luck or fertility luck. In choosing a ceramic or porcelain pomegranate, choose the one that has a color of deep red. For ceramic or porcelain peach choose one that has a color of bright pink. RECITE THE MANTRA OF GODDESS TARA. 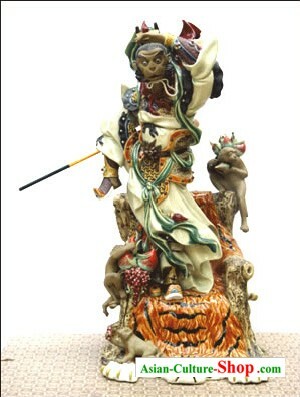 Goddess Tara or Green Tara is a Buddhist deity born out of Avalokitesvara or Kuan YIn’s tear drop. 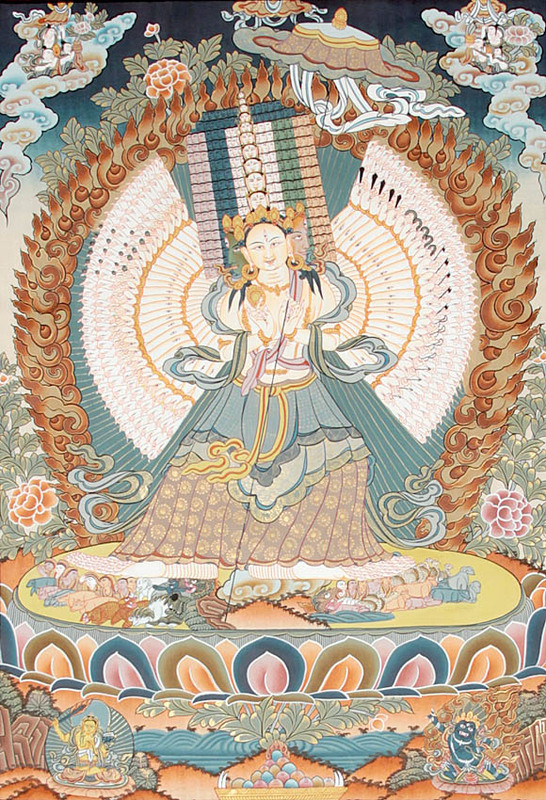 I’ll discuss more about Green Tara on a future post, however, allow me to say that calling on Goddess Tara by reciting her mantra is one way of activating one’s Descendant Luck. Furthermore, placing an image of the white manifestation of Goddess Tara called White Tara on the west section of your house also activates one’s descendant luck. Goddess Tara’s mantra is OM TARE TUTTARE TURE SOHA. Wearing her seed syllable TAM is also a powerful tool to activate one’s descendant luck. The seed syllable TAM is one of the featured symbolic syllable in the WISH FULFILLING AND BUDDHA’S BLESSING MANTRA PENDANT. No one can do things on his or her own. No one is able to achieve success on his or her own. Not only its is absolutely wrong and egoistic to say that I made it on my own, no matter how much the person really believes this, but it is also one of the greatest lie fabricated by mankind. On our way to success, no matter how intelligent you are, no matter how hard you work, we will need somebody to help us get to the top. We all need somebody to help us. We all need a mentor. Mentor here doesn’t only refer to people who are in power who can teach us things or help us in achieving our goals, although it’s the primary aspect of Mentor’s Luck, mentor here also refers to people who may not be our senior in stature, age, experience, but are around us can is able to contribute to our success. In Feng Shui, there a lot of ways in which we can activate our Mentor’s Luck, and by doing activating our Mentor’s Luck we start to attract people who may help us along the way. One of the primary and basic tip in activating Mentor’s Luck is by being positive ourselves. By being truly positive, we start to exude a powerful positive aura, which in turn will attract people who are also positive. We actually often here people complaining and saying things like: ‘Why am I such a magnet for losers?’ or ‘Why do I always attract bad employees/employers? Or ‘Why do I end up with horrible lovers?’ Well, the answer is because Feng Shui and personal energies attract the people that we project. So the first and most basic tip is to become positive ourselves! CRYSTAL CLUSTER. Another simple way of activating Mentor’s Luck is by putting a crystal cluster on the Northwest section of your room, home, office, or table. 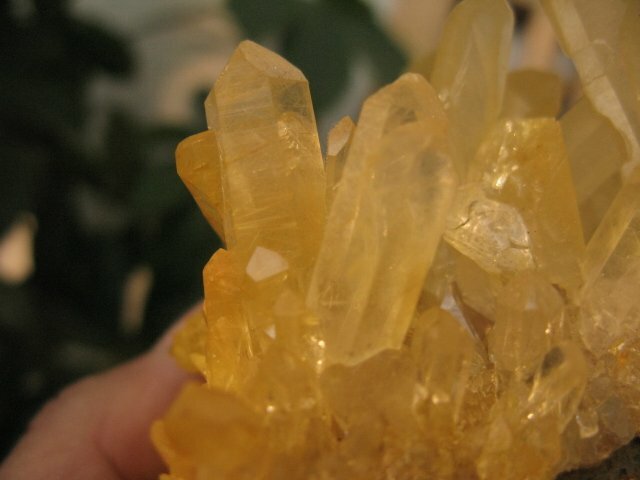 A crystal cluster, which has several ‘points’ of energy has the power to cleanse the energy of the Northwest section, which in turn controls our Mentor’s Luck. Use Citrine cluster for business or financial mentor luck; Amethyst cluster for someone who can impart to you intelligence and skills in life, rose quartz cluster for relationship mentor luck, and clear quartz cluster for an inner peace guru. PICTURES. Placing pictures of powerful individuals in the Northwest section of your house or room. Pictures or images carry their own energies, thus praying in front of a Buddha, Bodhisattva, Deity, Immortal, Goddess, or Saint (for Christians) is a very powerful tool to achieve your wishes. However, when I said pictures, I’m not referring to the god of your religion but I’m referring to people who you want to emulate. This can be pictures of famous people like HH the 14th Dalai Lama, Bill Gates, Oprah Winfrey, Nelson Mandela, etc. I used to have a picture of Steve Jobs on the Northwest corner of my room, however, since his passing I’ve decided to take it out, because it’s too much Yin energy. Unless, of course, the person is a living Buddha before his/her passing, it’s best not to use a picture of a person who has passed away. A friend who works as the country head of one of the largest NGO in the world was having a lot of problems in implementing their projects. She found herself losing patience and wanting to quit. 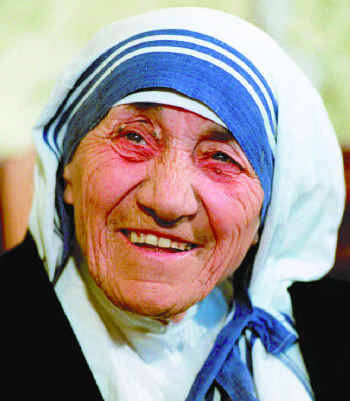 She shared that she can just be like Mother Teresa, patient, truly loving, yet persuasive and powerful. I then advised her to put an image of Mother Teresa on the Northwest section of her condo unit, and in the Northwest corner of her office. She did! Needless to say 3 months after she placed the picture she gradually felt the effects of having the picture of Mother Teresa. The implementations of their projects are now smoother and they don’t meet as many hindrances! IMAGES OF BODHISATTVAS, IMMORTALS, OR DEITIES. Placing images of some powerful Bodhisattvas, Immortals, or Deities in the Northwest section your office or house is another great way of enhancing Mentor’s Luck. Furthermore, if an image of Bodhisattva or Immortal, or a Deity is used, other than enhancing your Mentor’s Luck by blessing the Northwest corner of their energies, you also tap into their blessing. I think this is the best way of activating Mentor’s Luck. Furthermore, wearing their images as a gold or jade pendant will also bring out Mentor’s Luck blessing from them. Use the image of the Maitreya Buddha also known as the Great Happy Buddha, Happy Fat Buddha or Laughing Buddha, if you’re working in a very place where there’s an absence of harmony and happiness. If you wish to know more about Maitreya Buddha please click here. The image of Kuan Kong is highly recommended if you’re the head of a department. One of my previous post will help you know more about Kuan Kong. The image of the ‘Great Sage, Equal of Heaven’ Sun Wukong also known as the Monkey King or Monkey God is good if you’re in marketing, advertising, sales, or any other field that needs a lot strategy making and creative thinking. 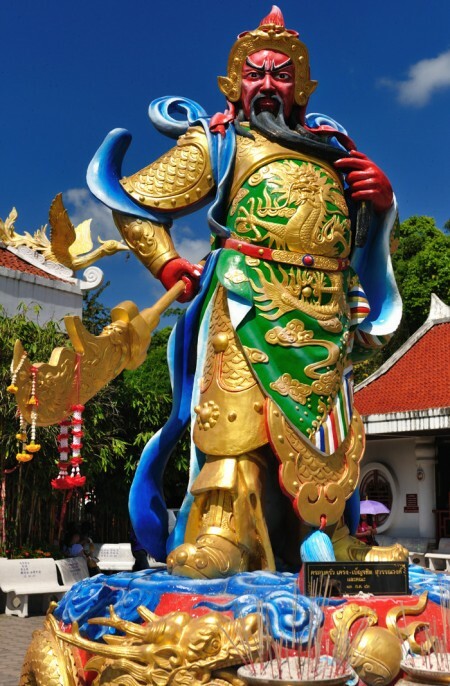 To help you better understand why Sun Wukong is best for people whose career involves marketing, advertising, sales, and strategy making, do read my post about him by clicking here. Most Feng Shui experts will tell you that a Cicada is a Feng Shui symbol of immortality and protection against backstabbers. This is largely due to the fact that a Cicada is an insect that can live up to 20 years; it’s a kind of insect that has the longest life span. Furthermore, it is said that a Cicada’s large eyes also warns it of possible predators, thus many Feng Shui experts will associate it as a protection against backstabbers or politicking. I would like to humbly present a different perspective. For me, as influenced by some of my Feng Shui teachers, a Cicada is not a protection against back stabbers and/or politicking. However, while I do agree that it can be used as a Feng Shui tool for longevity or immortality, it is primary a symbol of good rebirth. 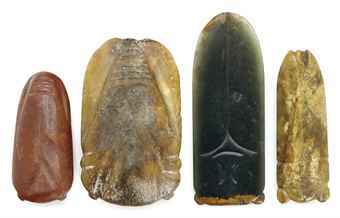 Antique jade cicadas similar used in China where it is a common practice to put a jade cicada in the mouth of a deceased person to ensure a good rebirth. In my belief, a Cicada is best used as a symbol of good rebirth, this is limiting in the sense that people who will follow this are people who believes in reincarnation. The Cicada is considered as a summer insect in Japan and China, because they usually go under the soil during winter, and go out of it during summer. This is a sign of rebirth, thus it was usually used a symbol of rebirth in Japan and China. I don’t really know why modern Feng Shui experts focused more on the immortality or longevity aspect of the Cicada. 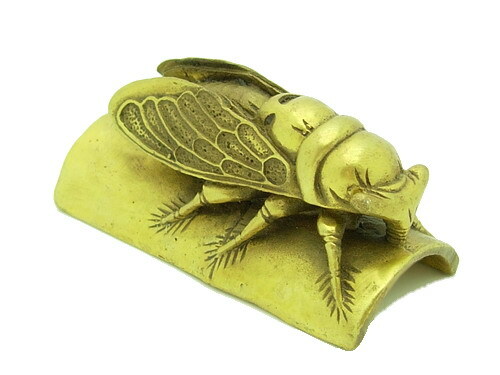 In fact, in China the family of a deceased person usually put a jade Cicada of the dead person before burying or burning the body of the person. This is to have the person have a good rebirth. According to my Feng Shui teachers, a Cicada should be placed beside the bed of a dying person, this is to signify a good rebirth even before the soul leaves the current body. Also, you can still follow the old tradition of putting a small jade cicada of a deceased person before burying or cremating the body. If you feel queasy about this you can just put the Jade Cicada on top of the body of the deceased. But, is the Cicada also a symbol of longevity? The answer is yes, but I don’t think that it is it’s primary use. 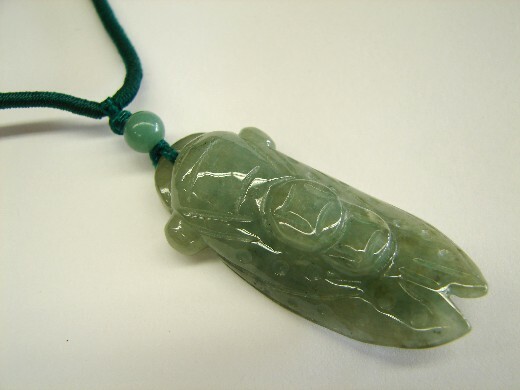 Also because of the ‘rebirth’ aspect of the Cicada, it makes carrying a jade cicada a good Feng Shui protector when one is undergoing a big change in one’s life. If you are about to have a career change, or you’re about to marry, or moving to a new house, graduating from school, migrating to a new place or country, carrying or wearing a jade cicada will help ensure that everything goes smoothly. Another use for the cicada usually recommended by Feng Shui experts is as a cure for backstabbing and/or politicking. Again, while the cicada is a good symbol for protection against luck, I think this is not really just against backstabbing and/or politicking. Let me explain. The cicadas would usually warn of a farmer of a pending bad storm, this is because they ‘cry out’ by making a distinct noise when a bad storm is coming, even if the storm is still 2 days away. They’re nature’s natural weather forecaster, so in effect, they give us a warning when there’s a danger. As such, wearing a Cicada we will be given a ‘signal’ or we’ll become more sensitive when a bad thing is about to happen. I often here people say that having a turtle as a pet or having its image in the home or office is bad. In fact, I once saw a mom scolding her son for buying a turtle for a pet without asking her permission. Heard her tell her son that having a turtle in the house is bad. This is one of the greatest and most common misconceptions. 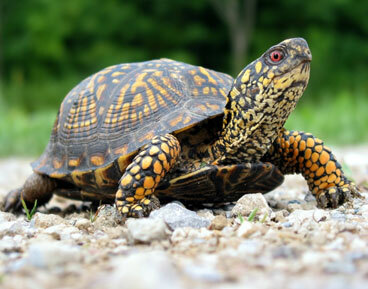 A turtle or tortoise is considered by a lot of people as bad because it is slow and timid. 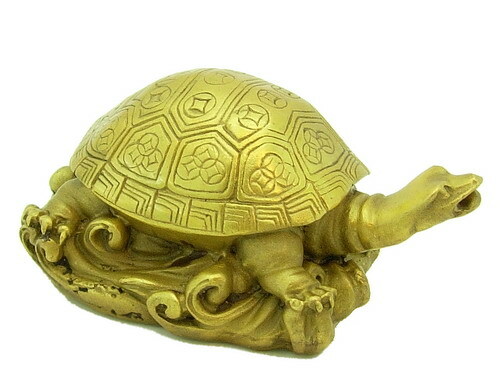 However, the truth is a turtle or tortoise is one of the most powerful Feng Shui protection and enhancer one can have. For Feng Shui purposes, will just use the term tortoise, while a turtle and a tortoise has some biological differences with each other, they are actually have the same Feng Shui effects, so in Feng Shui a turtle and a tortoise is one and the same. As mentioned a tortoise is one of the most powerful tool one can use both as a protector and enhancer. The tortoise is one of the Four Feng Shui Animals (some people call this as 4 Celestial Animals but only two of the animals in the 4 Feng Shui Animals are actually considered celestial) that should always be present or represented in any home or establishment. 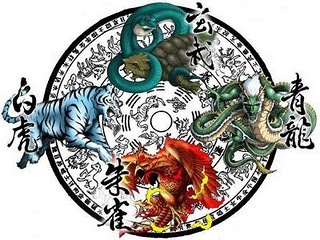 The 4 Feng Shui animals are the Green Dragon, which is in the East, the Red Phoenix that should be present in the South, the White Tiger that is located in the West, and finally, the Black Tortoise, which is in the North. However, East-West-North-South here doesn’t exactly refer to the compass direction. In an actual Feng Shui setting, East is represented by the left side of the house, South is represented by the front side of the house, West is represented by the right side of the house, and North is represented by the back of the house. For now we’ll focus on the Black Tortoise or simply Tortoise. A Tortoise symbolizes stability, strength, and support, does it always has to be put at the backside of the house. If your family needs financial stability, putting a tortoise at the back of the house will help you have the said stability. It is a great protection and energy-strengthening tool. Placing a tortoise behind your workplace will also give you the career stability that you need. Furthermore, it gives you the energy support that all career people need, especially if you work in a highly competitive atmosphere. One other function of a tortoise is for longevity. In this sense, it is better to put the tortoise in the actual compass north. You need not get a real turtle or tortoise, in fact, unless you can really take care of them properly, it is better to simply get an image of a tortoise. I personally believe a tortoise made of metal or jade works best. Getting a real tortoise, and not being able to take care of them properly may cause more harm than good, specially, if they die because of neglect. I’m always cautious in writing about things that may sound self-serving and unfortunately this post surely seems to be such a thing. However, I’m just really happy for a reader who shared with me about her experience with the WISH FULFILLING AND BUDDHA’S BLESSING MANTRA PENDANT. Allow me to repost her comment here. I’ve inserted a translation of the parts that were written in Filipino. Hi JP! Rose here. I’m so happy to share with you that I think your wishfulfilling and buddha blessing mantra pendant really works. I just had my pendant for a few days di ba? 4 days palang (For 4 days onlys). Pero (But) this morning I received my first good news and i think its really because of the pendant! Di ba (Didn’t) I mentioned that I was really hoping to get this 2 month scholarship grant from an ngo (she is referring to an NGO). Kaso lang nga last week they turned me down because I didn’t made it to the top, number 2 lang daw ako base ito sa isang exam. They called me up this morning to inform me that due to a technicality the top person got disqualified. Dahil diyan (Because of that) they’ll be sending me na (already)! That’s the best news I had for a long time! Thank you sa iyo (Thanks to you)! Clarify ko lang(Just want to clarify). The reason that I’m so happy is because the 2 month scholarship is not any ordinary scholarship. It’s an all expense paid trip with financial allowance to Germany. It includes my board and lodging. Pero (But)the best part is its quite difficult to get into this scholarship! Thank you so much! With her permission I’m sharing something more about her and her experience. Roselle or Rose is a 27-year-old in-house IT specialist of a big company here in the Philippines. My first encounter with Rose was when I received an email from her. 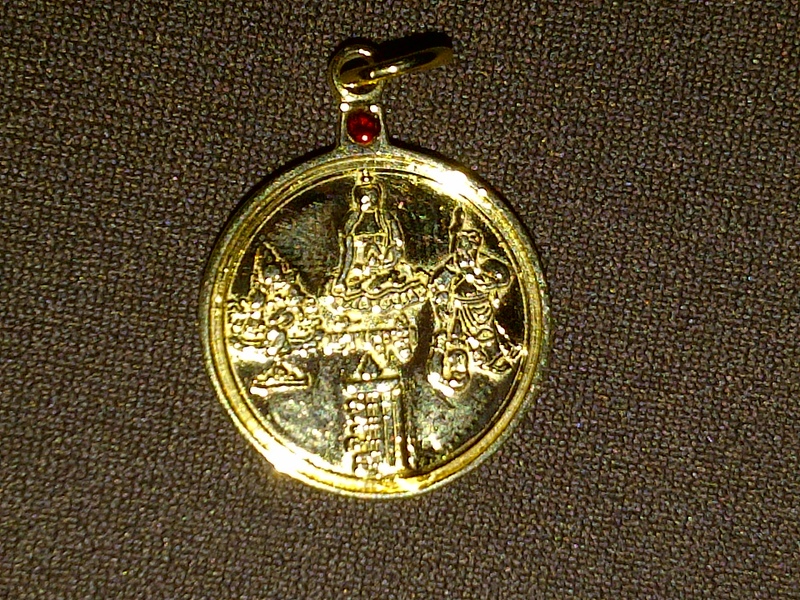 She was inquiring about the first pendant that I designed – THE WEALTH AND MASTER PROTECTION PENDANT. She and her family also requested me to do a Feng Shui audit of her house, however, since I’m busy with my own business we still have to agree on a time to do the Feng Shui audit of her house. When Rose read about the WISH FULFILLING AND BUDDHA’S BLESSING MANTRA PENDANT, she immediately ordered 2 pieces. It’s not really for sale, however, I do agree to accept few orders from readers. Nevertheless, as I mentioned here in my blog, I need to prioritize the order of my friends and relatives first. But since I still owe Rose a Feng Shui audit, I decided to give her a special treatment and gave her 2 pieces of the pendant last Monday. She said one is for her and the other one is for her boyfriend. That was last Monday (Feb. 19, 2012) and just this morning (Feb. 24, 2012) I got a comment from her about how she believes that the pendant helped her attained a wish that was almost impossible to happen because of the results of an exam. I know that superficially her loss is somebody else’s gain, however, according to Rose this person gave wrong information, which means, technically, the grant was not really for him/her in the first place. I also firmly believe that by wearing the WISH FULFILLING AND BUDDHA’S BLESSING MANTRA PENDANT, it paved the way for her to get her wish. The grant is a big thing; it’s a 2 months all expense paid educational grant. Rose will under go a 2 months long further education that may help her land her a job abroad! I’m sorry if this sounds so self-serving, but I’m happy for Rose and I’m also happy that the pendant was able to become an instrument for somebody to receive blessings from the Buddhas! FULFILL YOUR WISHES AND GET BLESSINGS FROM THE BUDDHAS WITH THE ‘WISH FULFILLING AND BUDDHA’S BLESSING MANTRA PENDANT. 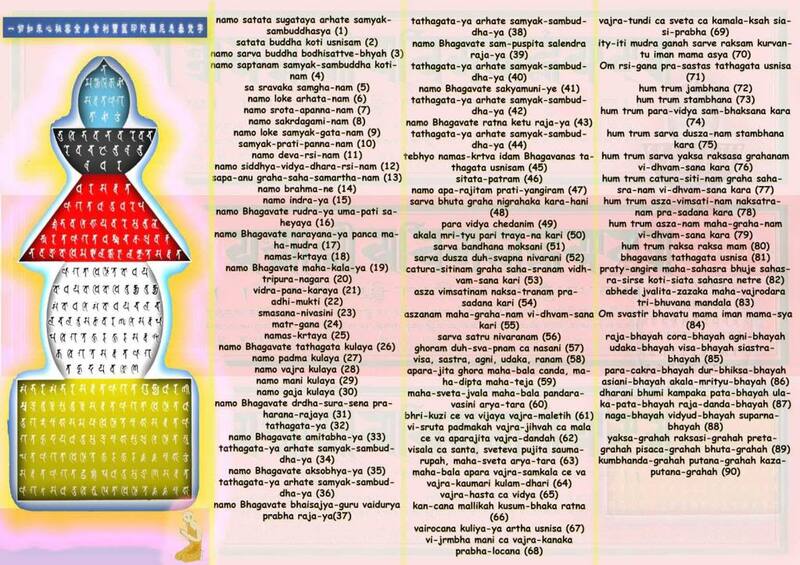 WISH FULFILLED WITH THE ‘WISH FULFILLING AND BUDDHA’S BLESSING MANTRA PENDANT’ – A PERSONAL TESTIMONY OF A READER. ANOTHER WISH FULFILLED WITH THE ‘WISH FULFILLING AND BUDDHA’S BLESSING MANTRA PENDANT”. A PROPHETIC DREAM, THE WISH FULFILLING AND BUDDHA’S BLESSING MANTRA PENDANT, AND A WONDERFUL BLESSING. WINNING THE ELECTIONS AND A NEW BUSINESS: ANOTHER PERSONAL TESTIMONY OF A READER ABOUT THE ‘WISH FULFILLING AND BUDDHA’S BLESSING MANTRA PENDANT”. The Mystic Knot is one of the most popular and powerful Feng Shui tools, and because the Mystic Knot is truly mystical, it gained a resurgence of popularity in the last couple of decades. I’m not sure as to when the Mystical Knot was first used in Feng Shui, and who was the first Feng Shui consultant or expert who incorporated it in Feng Shui. Unlike other Feng Shui cures or enhancers, not much is really known about the Mystic Knot. While it seems like it’s the infinity symbol (8) done six or eight times, the truth is nobody is really sure whether that’s really the case. 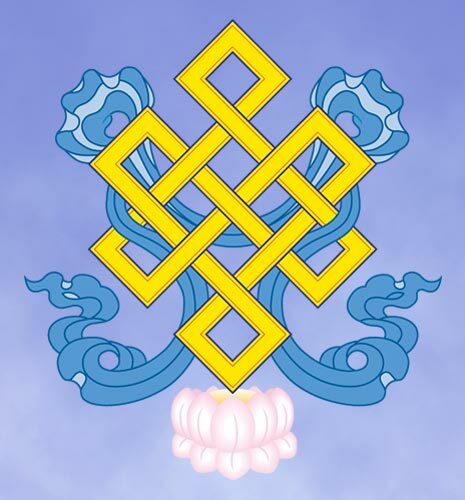 The Mystic Knot is also one of the auspicious objects in the Buddhist Eight Auspicious Objects and represents one of the main Buddhist teachings about endless birth and rebirth until we reach Buddhahood. 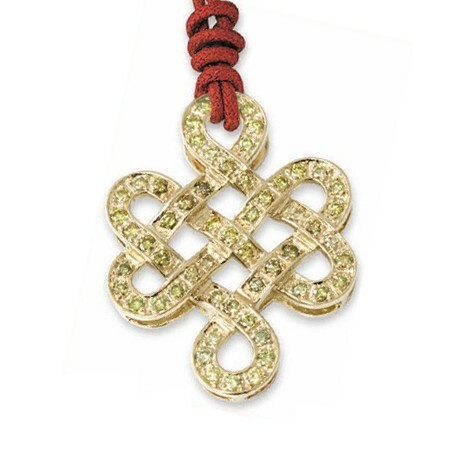 The Mystic Knot symbolizes a happy life filled with good fortune. Some Feng Shui experts say that this is a good symbol for long life or longevity. Personally, I don’t know whether it really has that kind of effect. However, base on experience and anecdotal stories from other Feng Shui experts and followers, it is clear that the Mystic Knot has the power to prolong whatever luck you are currently experiencing. The Mystic Knot works as an extension of good Feng Shui chi. The Mystic Knot also has the ability to temper the effect of a bad Feng Shui but more than that it also serves a protection symbol if placed on the door and or windows. The truth is the Mystic Knot is quite powerful that some people tend to exaggerate its true Feng Shui capabilities. While, I personally think its wrong, I still understand why some people and Feng Shui enthusiasts would say that a Mystic Knot is a powerful tool to protect marriage luck. Its infinity symbol can easily be interpreted as unending love. However, some of my Feng Shui teachers shared that when they recommended the Mystic Knot to some of their married clients, it didn’t have the expected effect. Some people also claim that the Mystic Knot is a powerful Feng Shui tool to create harmony. Again, this I think is another claim that needs more ‘investigation’ or research. However, it is clear that the Mystic Knot is a good luck enhancer and cure of some Feng Shui afflictions or bad luck. It is also a good protection symbol if put on windows or doors. Recently, some Feng Shui experts has designed some bags where they put the symbol of Mystic Knot, I think this is an excellent idea because it will serves in the same manner as it does when placed on doors and windows. Wearing a Mystic Knot pendant is considered auspicious, and like mentioned, it does jump-start or prolong one’s luck. Feng Shui Cure Against an Hostile Boss. I got an email inquiring as to what she can do because she is currently experiencing hostilities from the manager of her department. She shares that she really enjoys working for the said company, but her new boss which was pulled out from another department is being hostile towards her. Due to the ‘sensitivity’ of the matter I’m not sharing her name here. However, allow me to share with you my response to her which I sent through email. It will be difficult to directly address this concern given that there are several factors that may cause the ‘hostilities’. One it can be because of your animal zodiac, another reason may be due to Feng Shui reasons that may be causing the hostilities specially if tables were rearranged when your new boss replaced your former boss. I the ‘cure’ can be more specific if I have more information about your situation. 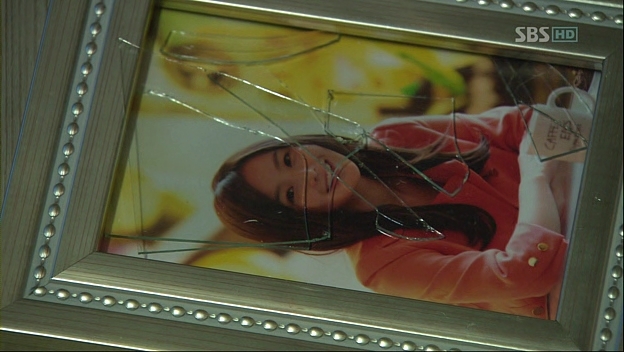 Nevertheless, you can take some of the most basic Feng Shui cure for office hostilities. First, you can wear the Flying Bird DZI bead as bracelet, strung it with a clear quartz beads. Secondly, you can also wear a Maitreya Buddha or Happy Fat Buddha also known as the Laughing Buddha pendant. Wearing a Prayer Wheel pendant will also help in creating harmony. However, you should also try to look deeper whether you might be doing anything that may be causing the said hostility. Analyze whether you’re attachment with your former boss might making you subconsciously not like your new boss and she might be getting this signal from you. Since she is your superior she might be manifesting this openly. Four Faced Buddha of Bangkok,Thailand-A Famous and Miraculous Wealth Granting and Protector Deity but He is Not a Buddha!